Eileen and Billy are great to work with. Eileen is always very accommodating with appointments, and Billy is always on time. Lovely people! The process is super quick and easy, dries like lightning and my home airways looks and smells better! Highly recommend!! Very easy to deal with. Great customer service, very accommodating. The carpeting looks much better after their service. We will have them back. Great customer service and very accommodating. Did a great job on cleaning the carpets. Eileen was very accommodating with my schedule and Phillip did a great job on a 3-story house and was fast. Lake Norman Area. Best carpet and rug cleaning company and products out there period. This team is on time, gets to you quickly and gets the job done well every time. Excellent deodorizing for my pets and cleaning up their "mistakes"! Ive been using them for 5+ years and never use anyone else. I have high expectations and these guys meet them every time! Amazing cleaning, response time, show up on time and get the job done. I have cats that don't always find the litter box (ugh!) and leave plenty of fur balls behind. 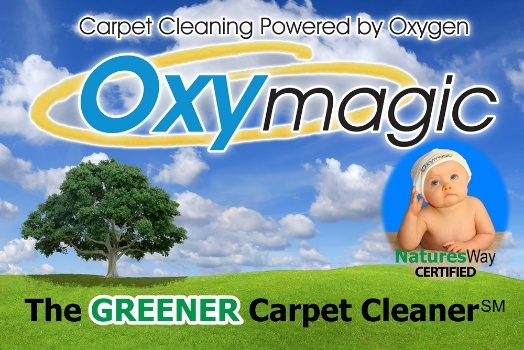 OxyMagic gets my carpets and rugs clean every time! In the 4 years I've been having this particular carpet cleaned, it's cleaner now than it was when I got the key to the house. Wonderful job. I appreciate the technology and my carpets (not exactly new) are looking like new. Removed the dust, dirt and allergans. Have used them before and will use them again. It looks New – It's hard to believe that a carpet cleaner can make 10 year old carpet look new, but Oxymagic did. Had Oxymagic clean the carpet couple days ago and my carpet looks so good. My family commented on how clean the carpet looked! I don't have to be ashamed of my stairs anymore. The wonderful thing is our big master bedroom was dry in 30 minutes! Hallway and stairs in about one hour.